A breathtaking aerial view of Montreux and the beautiful Lake Geneva. 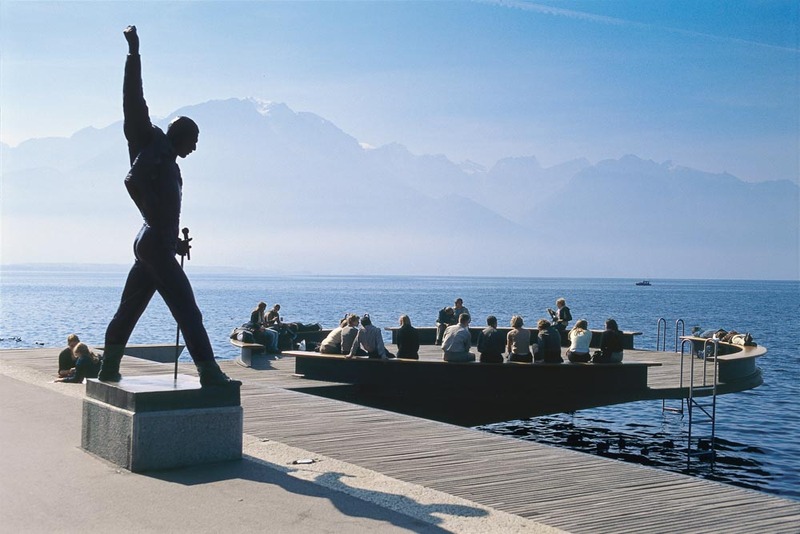 Monument of Freddie Mercury stands prominently on the Montreux lakefront. A couple relax on the edge of Lake Geneva (photo: Brian Johnston). 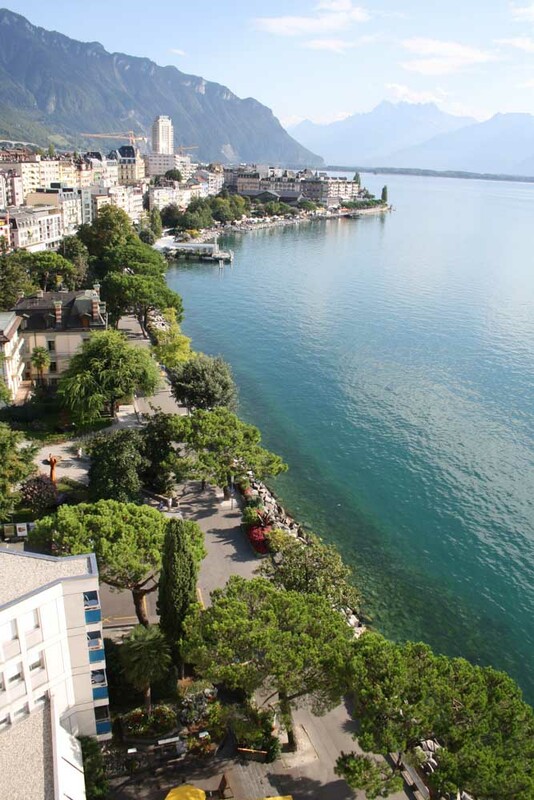 Leafy Montreux waterfront (photo: Brian Johnston). The impressive Dents du Midi mountains behind Château of Chillon. A grand, aristocratic 19th-century resort town with a balmy microclimate and extraordinary lake and mountain scenery, but it also has its raffish side. 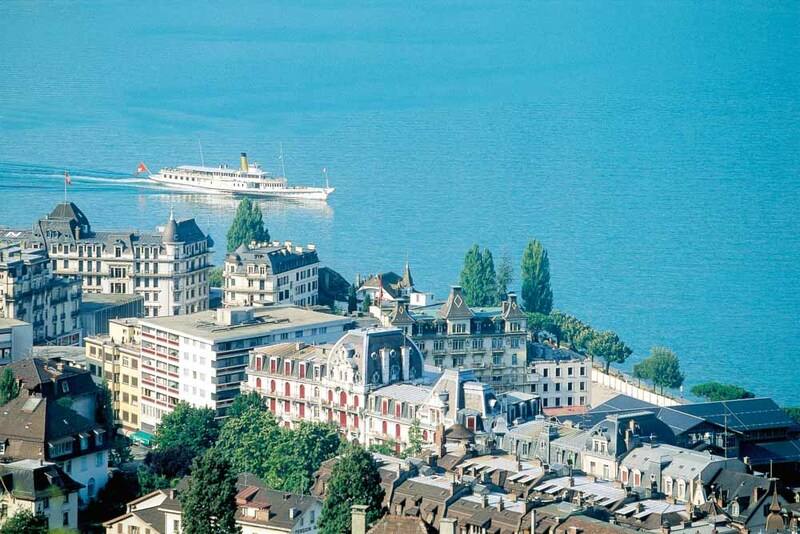 Brian Johnston reveals all in our Montreaux city guide. Head onto the main street to find the warm trattoria-style eatery La Rouvenaz, a favourite with locals. It specialises in wood-fired pizzas and pastas, as well as seafood dishes, and has both a wine and gelato bar. Of course, you could always sacrifice an arm and a leg for a two-Michelin-star meal at Le Pont de Brent, where Swiss and French specialties are dished up in a charming country house in the hills above town. The rack railway (sbb.ch) that hauls passengers from Montreux to the 2042-metre Rochers-de-Naye peak isn’t for the fainthearted as it winds ever higher above the lake, with increasingly glorious views over the surrounding Alps. July’s three-week annual Montreux Jazz Festival sees the world’s top guitarists, jazz singers and blues and rock artists take to various stages located around the city for one of the world’s foremost music festivals. Though a statue of one-time Montreux resident Freddie Mercury stands prominently on the lakefront, it’s surprising how many people miss the terrific Queen Studio Experience, perhaps because it’s tucked obscurely into the casino. Montreux is a relatively small city, but its main drag of Grand’Rue has no end of upmarket fashions, watches and chocolates. There’s also a covered food market on the waterfront that runs on Fridays, with the adjacent small Forum mall featuring lots of fashion and gift stores worth browsing. One of the best ways to see the real beauty of Montreux’s surroundings is on foot. 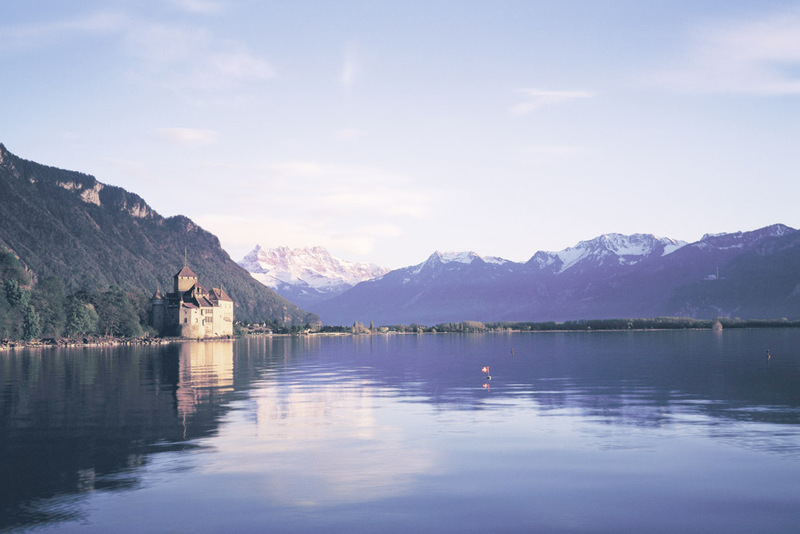 Take a stunningly beautiful 40-minute walk along flower-lined lakeshore promenades to the Château of Chillon and take in the snow-covered panorama of the mountains that dwarf it. Zurcher has been tempting well-heeled customers for more than 130 years. linger over lemon tarts, chocolate cakes and layered pastries oozing indecent quantities of cream. Montreux Youth Hotel is perhaps Switzerland’s best budget retreat, with a great near-lakeshore setting, convivial dining room, colourful décor and room choices including doubles and dorms. What Eurotel Montreux’s rooms lack in personality, it more than makes up for with its friendly service and magnificent lake views. Its Safran Restaurant terrace combines fabulous outlooks with great local fish dishes. Fairmont Le Montreux Palace is a yellow-and-white Belle-Époque pile that has been setting the tone since 1906. Three restaurants, one lakeshore wellness centre and perhaps a million geraniums all combine beautifully.